NASA officials welcomed more than 400 participants with a stake in the future of Urban Air Mobility (UAM) to Seattle last week for a two-day gathering in which the agency presented its plans to host a series of Grand Challenges for the UAM community. The purpose of the Grand Challenge is to promote public confidence in UAM safety while capturing the public’s interest in a future many have imagined, or seen on television shows and movies, for decades. “NASA is committed to working with our industry and government partners in any way we can to safely integrate these new options for passenger and cargo air transportation services into our skies,” Shin said. NASA will use the Request for Information (RFI) process to let industry day participants and others indicate their interest in participating in the Grand Challenge. The RFI, to which responses are due by Friday, Nov. 16, also will help NASA assess the state of the art of industry-developed UAM hardware and systems, as well as collect input on ways to refine and optimize the Grand Challenge so it’s of the most help to industry. 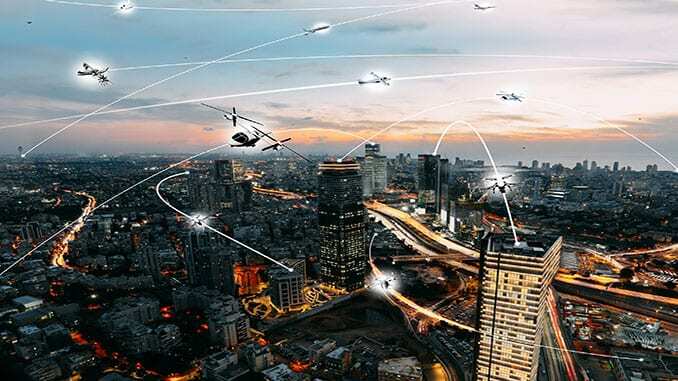 “Our findings point toward an exciting future for aviation serving new roles in society through Urban Air Mobility,” said Tom Edwards, Crown Consulting’s chief technology officer. “The challenges and barriers are numerous, but we believe this technology will be a part of an amazing transformation of our air transportation system of the future,” said Chis Fernando, a senior associate with Booz Allen. “It’s for all of these reasons the first Grand Challenge will be so important in helping to demonstrate the UAM community is making progress to overcome these challenges and realize all that this promising future has to offer,” Shin said. No Replies to "NASA Leads Urban Air Mobility ‘Grand Challenge’ Discussion with Industry"